You found your new home. Exciting times ahead. Then you realise after you move into your beautiful new home, you need to clean your old place. You just don’t have the energy after the big move. 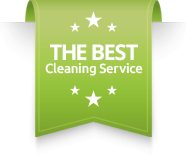 You need to hire and end of lease cleaner. Central Coast Domestic Services have completed 1000’s of end of lease cleans on the central coast over the past 15 years. Each and every tenant has recieved their bond back in FULL! Our dedictaed end of lease cleaner teams, make sure everything is completed 100%. You can view our full list of what is included in an end of lease clean here. Once you have moved all of your belongings out of your old home and into your new, all you really want to do is to setup your new home, and style it the way you like. You most certainly do not want to be spending your precious time, back int he old place cleaning it. It could take you anywhere form 2-7 days to do a complete end of lease clean on your old home. With Central Coast Domestic Services, we have your end of lease clean completed within 12 hrs. Bond refund in full! Don’t take the stress of making sure you got every light fitting cleaned, every window track perfect or that laundry tub shining again, we do it all. So for your next move, remember, don’t clean, hire us to complete it for you. From your inital phone call, to us completing the work, it is a hassle free service for you to be enjoying time in your new home.